All you’ll need to replace the struts are a small screw driver, something to temporarily hold up the “frunk” and the replacement struts. Access to the struts is very good, but be careful when replacing them as we did manage to get a decent cut. 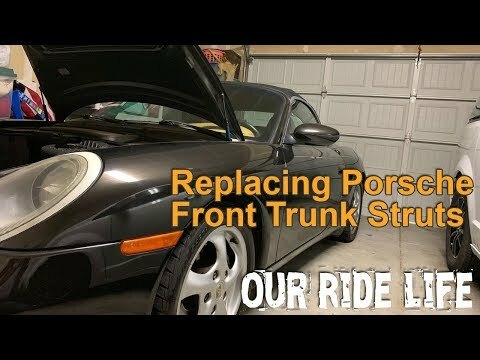 This short video shows the entire procedure involved to replace the front trunck struts. After checking out the video let us know if you have replaced the front trunk struts yourself and how it went for you in the comments below. If you own a Porsche 986 or 996 you can find the replacement struts here. For owners of 987 or 997 models you can find replacement struts here.